If you missed it, Part 1 of our Mega Guide is HERE. DESIGN MIAMI — "the global forum for design" — is back on the beach next to the convention center from December 6 through 10 with thirty-three galleries, including three making their DM debut: Converso (New York), Lebreton (San Francisco) and Mason Gerard (New York). Also look for eleven "Design Curio" installations, plus design talks and exclusive events during the run of the show. The invitation-only preview is December 5, noon to 8 p.m. 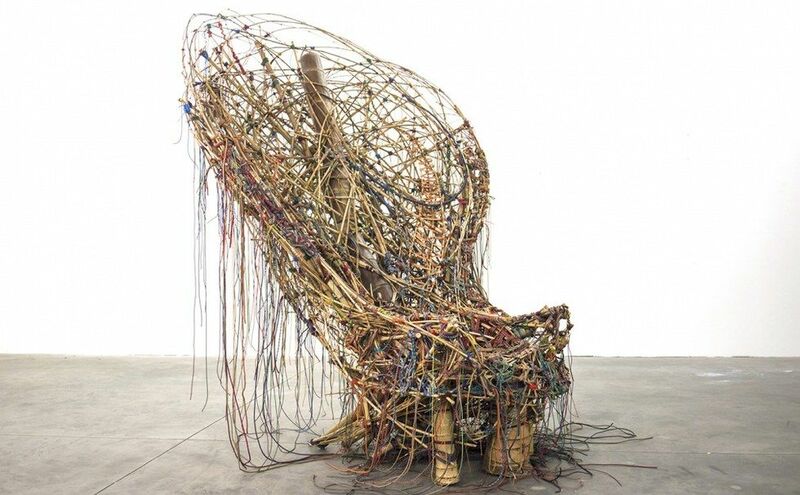 Check out the bamboo furniture by Doug and Mike Starn at Cristina Grajales Gallery; a MAD Martian collection by Ma Yansong at Gallery ALL; and an MIT robot that 3-D prints objects at Patrick Parish Gallery. For the first time, the winner of the fourth annual Panerai Design Miami/Visionary Award is a collaborative project called The Mwabwindo School. It was conceived by New York's 14+ Foundation, Selldorf Architects and artist Rashid Johnson and is scheduled to open in Zambia next year. The school project also includes newly commissioned furniture by Christ & Gantenbein, Basel. This year's theme for the Wynwood Walls, "humanKIND," aims to "manifest hope into the world." To inspire action, Goldman Properties CEO Jessica Goldman Srebnick curated the 12 artists: Seth Globepainter (France), Joe Iurato (USA), Leon Keer (Amsterdam), Tristan Eaton (USA), Lady Pink (USA), eL Seed (France), 2SHY (France), Audrey Kawasaki (USA), Bordalo II (Portugal), Pro176 (France), Risk (USA) and Martin Watson (Norway). The artists will also be featured in the on-site gallery. The walls will be open to the public from Thursday, December 7, 10 a.m. to midnight daily, through December 10. Citi returns as this year's Presenting Sponsor and they're also supporting French artist Pro176, whose work will be visible on 600 Miami Citi Bikes. One of our favorite AB/MB sectors, PUBLIC, will be framed around the theme "Territorial" with 11 site-specific works in-and- around Collins Park (between 17th Street and 25th Street on Collins Avenue, South Beach). 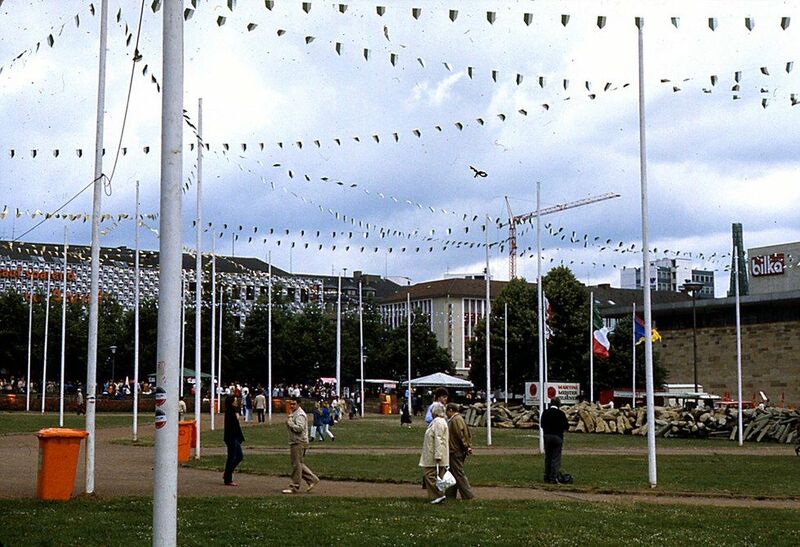 This year's curator is Philipp Kaiser, and highlights include: a restaging of "Les Guirlandes" by Daniel Buren that includes decorative flags and loudspeakers playing music; "Self-Reconstructed Elipsis" by Abraham Cruzvillegas comprised of wooden structures based on shelters from the artist's hometown in Mexico; and a video work by Cyprien Gaillard called "KOE." L.A. artist Jim Shaw and his band D'red D'warf will perform two parts of his opera, "The Rinse Cycle," on Wednesday evening, December 6, in SoundScape Park (400 17th Street @ Washington Avenue). The Rubell Family Collection (95 NW 29th Street, Miami) takes a look at the ways technology has changed the human condition via a group show called "Still Human," opening on December 6. Works by twenty-eight artists including Ed Atkins, Simon Denny, Anicka Yi and Isa Genzken will be on view. The Rubells also have a show by their 2017 artist-in-residence Allison Zuckerman called "Stranger in Paradise," opening for AB/MB and up through August 25, 2018. 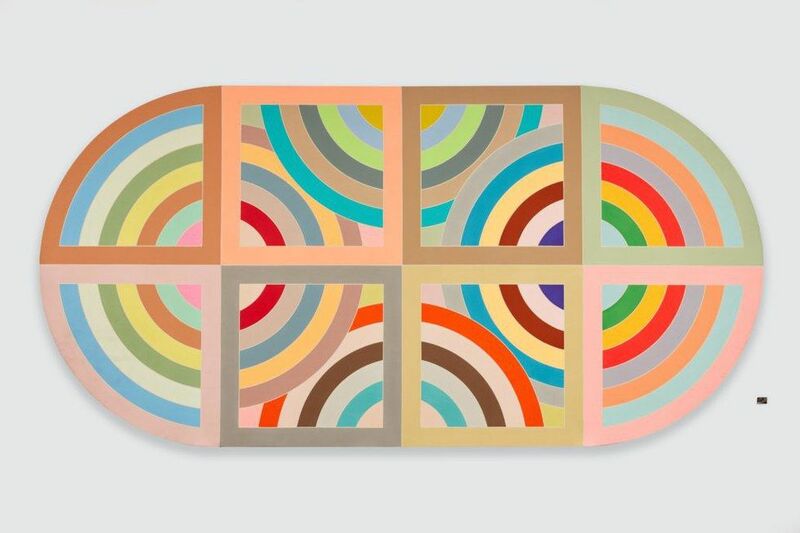 NSU Art Museum Fort Lauderdale (1 East Las Olas Blvd., Fort Lauderdale) celebrates their 60th anniversary with a big Frank Stella retrospective featuring over 300 paintings, relief sculpture and drawings spanning the artist's 60-year career. The exhibition, "Experiment and Change," was curated by the museum's Director Bonnie Clearwater and will be on view during AB/MB and through July 8, 2018. Check out his 45-foot-long canvas, "Deauville," shaped like a thoroughbred racetrack. 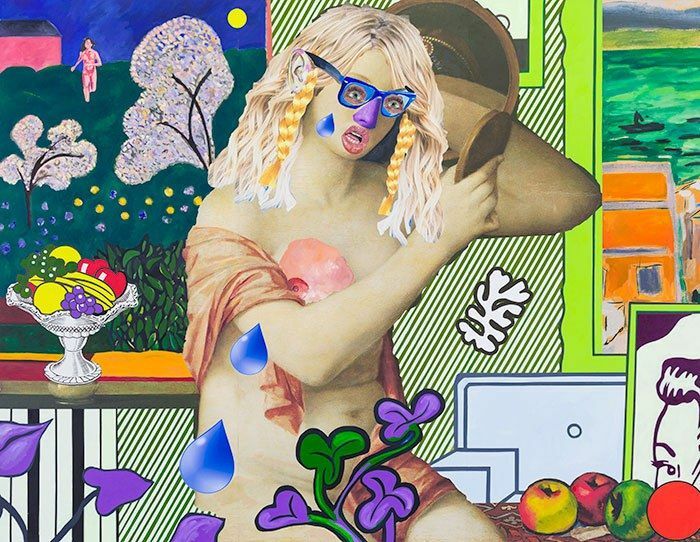 The National YoungArts Foundation (2100 Biscayne Blvd., Miami) has an exhibition titled "Imagination Land: Fantastical Narrative" featuring works by 11 recent alumni that address "consumerism, gender roles, the environment and ceremonial ritual." FREE and open to the public through December 15. ALSO: Helen Toomer, artistic director of Stoneleaf Retreat, curated a show by 15 YoungArts alumni called "Searching" that's on view at the PULSE fair in Indian Beach Park on Miami Beach. 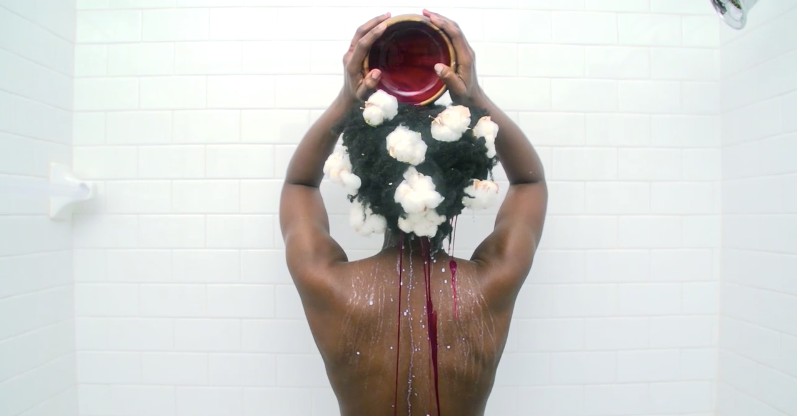 Video Still from Delphine Fawundu's "the cleanse" . PULSE Contemporary Art Fair again collab's with Newark, NJ-based "Project for Empty Space" curators and co-directors Jasmine Wahi and Rebecca Pauline Jampol in the fair's showcase for video and new media called PLAY. They've selected videos by nine artists that explore the theme "POWER," including Bolo, Amy Khoshbin, Melvin Harper and Andy Fernandez. This year's specially commissioned PULSE PROJECT is Hector Arce-Espasas' installation "Ode to Paradise (Dancers)." Also look for Phoenix Lindsey-Hall's "Never Stop Dancing" — a tribute to the 2016 Orlando nightclub shooting using 49 white-porcelain disco balls. PULSE 2017 runs from December 7 through 10 at Indian Beach Park (4601 Collins Avenue, Miami Beach). Their private preview brunch is from 10 a.m. to 1 p.m. on Thursday. AQUA Art Miami opens on December 6th with a VIP preview, and then it's open to the public from December 7 to 10 at the AQUA Hotel (1530 Collins Avenue, Miami Beach). They're expecting 52 international exhibitors and several special projects including: an installation dedicated to Keith Haring's Pop Shop presented by Morphew; Laura Kimpton's 16-foot-tall female monkey sculpture wearing a "Be Art" gold chain; and live tattoo art by Thea Duskin presented by Ghostprint Gallery. 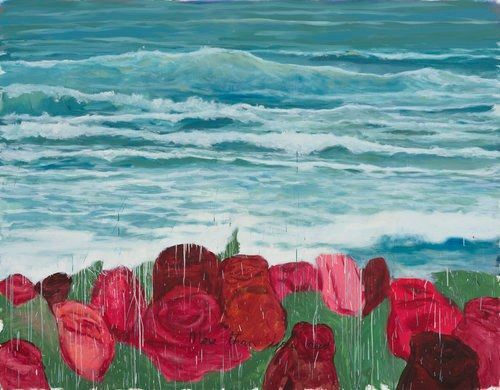 Two local Miami galleries are showing in the convention center this year: Fredric Snitzer Gallery and David Castillo Gallery. This is the 40th anniversary of the Snitzer gallery and they'll be showing new works by LA-based artist Enrique Martínez Celaya, including a large-scale outdoor installation. That exhibition opens on December 1st at 1540 NE Miami Court in Miami — plus there's a reception and book signing with Martínez Celaya on December 7. NY-based artist Shawn Kolodny debuts his site specific installation "Fake Fulfillment Center" on Wednesday, December 6 at the Boulan South Beach Hotel (2000 Collins Avenue, South Beach) and up through Sunday. Visitors to this "dark twist of a playground" will enter the work through a "pharmacy," don a lab coat and proceed through several multi-sensory rooms. Only 20 people at a time will be admitted from 11 a.m. to 6 p.m., and you should make a reservation HERE. Equinox and Mana Contemporary host a two-hour, hip-hop yoga session called "OM This Way" on Wednesday, December 6, with Darryl McDaniels from Run-D.M.C. and Donald Webber Jr. from the Broadway show Hamilton. Equinox instructors will lead the session, followed by a live performance by D.M.C. The venue is Mana Wynwood (2217 NW 5th Avenue, Miami).